Today’s standards in animation technology, graphics, scrolling, and other rendering programs have changed the rules we used to browse the web. Most of all website owners are looking for successful ways to increase traffic and sales on their websites. Using some kind of visualization to paint a full picture of the story website owners are trying to tell a good idea. And if the average first impression takes 3 seconds then a visitor should understand the mission of a website in less than 2 seconds. If failed, the battle for the attention is lost for sure. The reality is, your website is key to standing out and generating leads. So, if your Magento website is slow, tweak it for immediate results. The best thing is that the advancements in technology can offer benefits to every Magento website owner. With AMP, a new solution, you’ll get a better quality Magento website that can help load your store content faster and smoother. Say, AMP (Accelerated Mobile Pages) is all about solving a pain point for everyone on the mobile web – speed. The Accelerated Mobile Pages is an open-source initiative project that aims to desperately improve the way we consume content on mobile devices. Thanks to a deep collaboration with thousands of developers, publishers and websites, AMP pages are stripped down to the minimum possible code that can load fast. 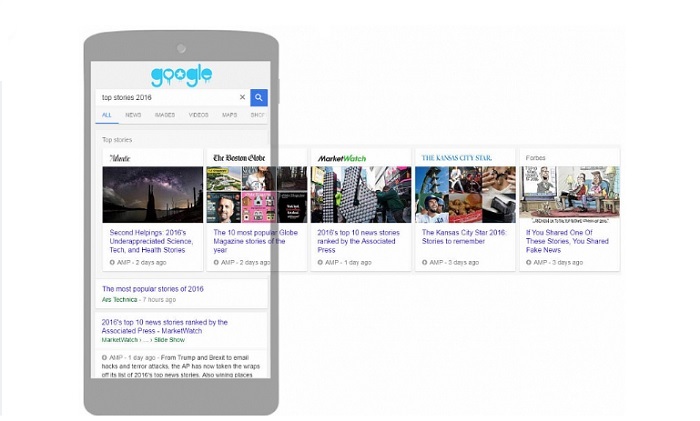 Designed to be easily cached by Google, AMP pages are in priority in the mobile news search results. How to understand which pages are AMP? That’s simple. Google indicates those AMP pages with a tiny ‘lightning bolt’ icon next to the search results. Say, when a user search for news terms, a preview of results with AMP is shown first via Carousel. Thus, a reader can easily understand which pages he may prefer to click if he wants to enjoy a fast loading site. Would You Like Your Magento Website to Load Faster? The main idea behind AMP pages is to cut the loading time for web pages. One of the things AMP can give to your Magento website is fast experience. With AMP, you can make your Magento website load pretty much instantly which means more satisfied users, more profit, and a better interaction for all. When it comes to eCommerce websites, people actually have less patience to wait until a website is loaded. With this in mind, Zemez team decided to deliver this new fundamental feature to the customers and developed the AMP module compatible with Magento 2.2. This allows your customers benefit from your extremely fast-loading site. Well, the AMP module aims to speed up your Magento store by providing improved access to your web pages. The extension offers the unique UI & UX design concepts for some of your eCommerce pages, such as Category Pages, Product Pages, delivering a much faster content presentation. That said, those pages can load extremely instant with text, images, widgets, and product information. So, once a web crawler finds the necessary page on the Google search results, he can load it and enjoy its fast experience. 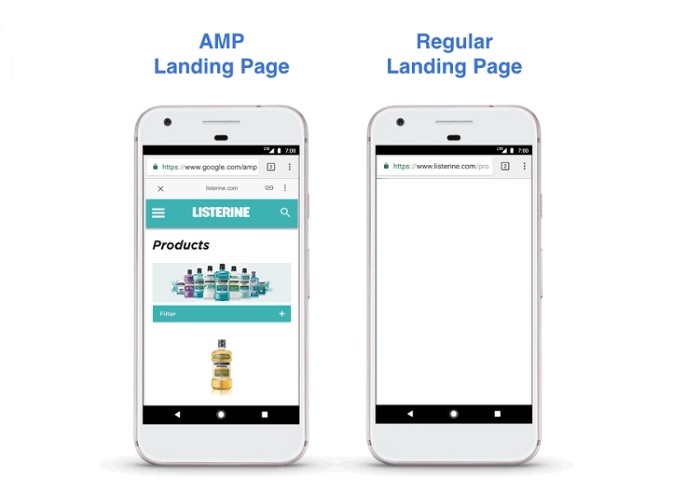 Well, Greenweez – see the difference after converting mobile pages to AMP. The leading organic retailer got the difference. As a result, the AMP module will display those AMP pages to your visitors directly on mobile or tablet browser. The best thing is that those AMP pages can be loaded in 2 seconds or less. It’s not a secret, that Google loves clean, simple and fast-loading pages, so make your Magento e-store definitely the one that loads extremely fast. Simply put, with this AMP module, you can improve the overall browsing experience of your Magento e-store. Yet & still, with AMP module, you can generate more leads to a 10% to your Magento store. Want to increase mobile sales? Just enable the AMP module and deliver the AMP compliant content much quicker & efficiently to mobile users. 1. Download the AMP theme. 2. Install the Magento 2 template together with the AMP module. Now, by way of example, we encourage you to check several Magento 2 themes ready with AMP. It comes with 5 pre-designed unique layouts crafted to fit a variety of niches, 22 extensions, and 1536 variations of page layout. Enjoy this theme at TemplateMonster.com. This elegant theme is available at TemplateMonster.com. The AMP module is planned to be shipped in the middle of January. 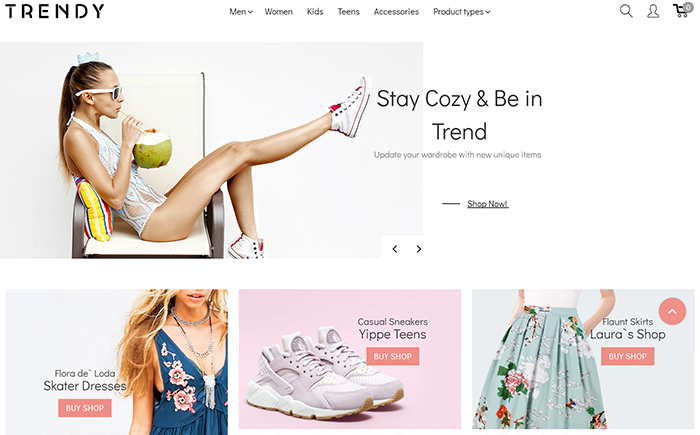 This powerful Magento theme comes with modern UX & UI concepts at the front-end side, powerful administrative admin panel, & the latest back-end technologies. With the AMP module, your online store will be ranked higher in Google search results. The theme will be available at ThemeForest marketplace. 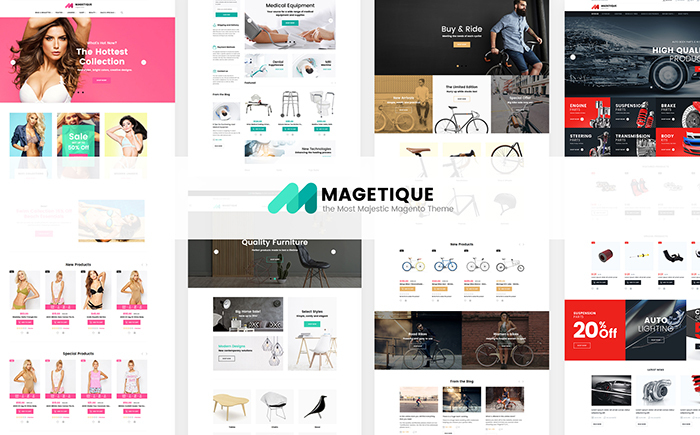 Mobillaso – Mobile Store Responsive Magento Theme. Illin.co – Tools & Equipment Magento Theme. Jewelrix – Jewelry Store Magento 2 Theme. 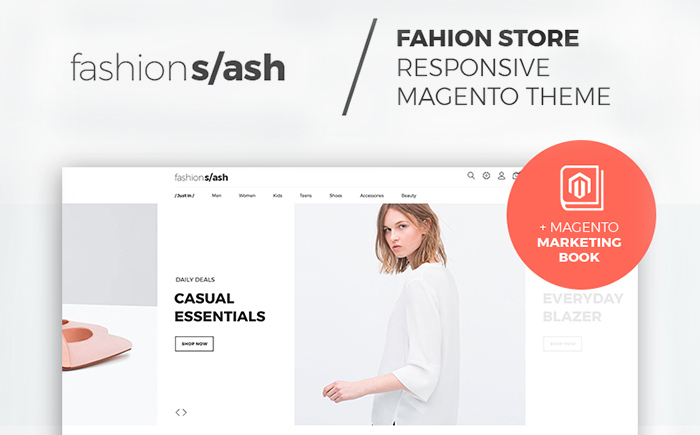 F2 – Fashion Boutique Magento 2 Theme.